This photo shows the state of construction of the enclosure (`dome') for VLT Unit Telescope No. 1 on Paranal in late October 1995. It will be ready in 1996, and will later serve to protect the first 8.2-metre VLT telescope, for which the 'first light' is foreseen in late 1997/early 1998. The concrete foundations are ready and the lower, stationary part of the metal construction has been fixed to it. 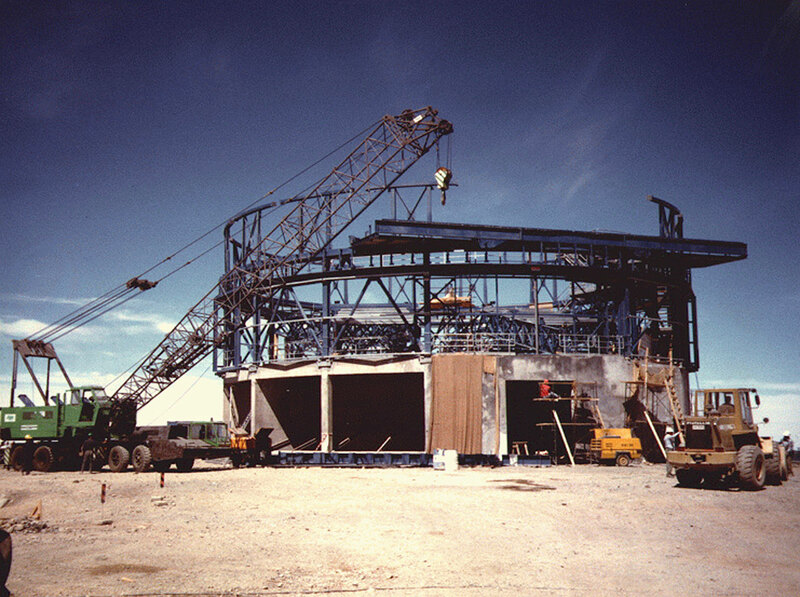 At this moment, the first pieces of the rotating part are also in place - the beginnings of the wide slit and the heavy, horizontal structure that will support the sliding doors are seen in the foreground.